Children and pets need not be excluded from the treated area once dry. 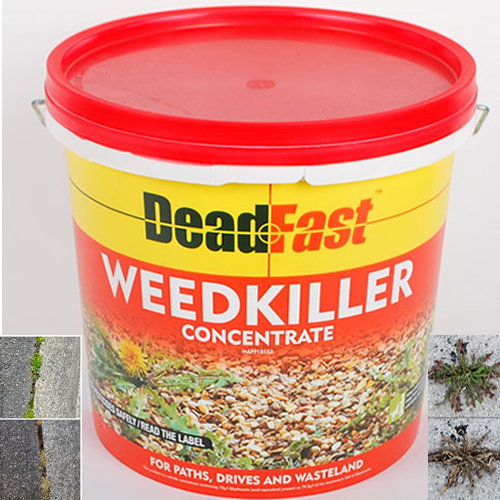 DeadFast Weedkiller will kill most living plant tissue on paths, drives and wasteland. It can be applied straight from the sachet to clear well established woods, weeds and trees, or diluted down to eradicate large areas of weeds and plants. 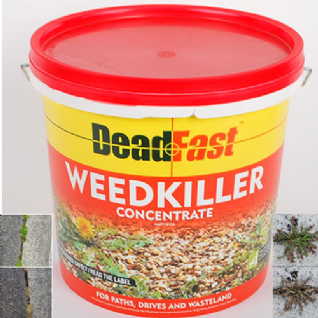 DeadFast Weedkiller is a total herbicide and as such care should be taken that it does not come into contact with wanted plants. 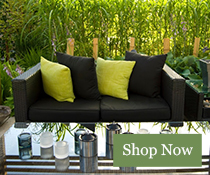 After use ensure that garden sprayers or other vessels used for application are thoroughly cleaned, as traces of product left in equipment can damage or destroy plants sprayed later. The active ingredient works through systemic action as it is carried throughout the plant by the sap. After absorption through foliage or cut stumps, the Ammonioum Salt of Glyphosate is carried to the outer extremities of the plant's root system where it begins to work. Effects should be visible in 7-14 days.